Average gross and net monthly earnings rose by 10.9% YoY in May 2018, somewhat below the market expectations but solid enough to make the average worker happy. The happiest workers have been in the agriculture, construction, logistics and accommodation and food service sectors, besides of course the wage settlement affected public sectors. 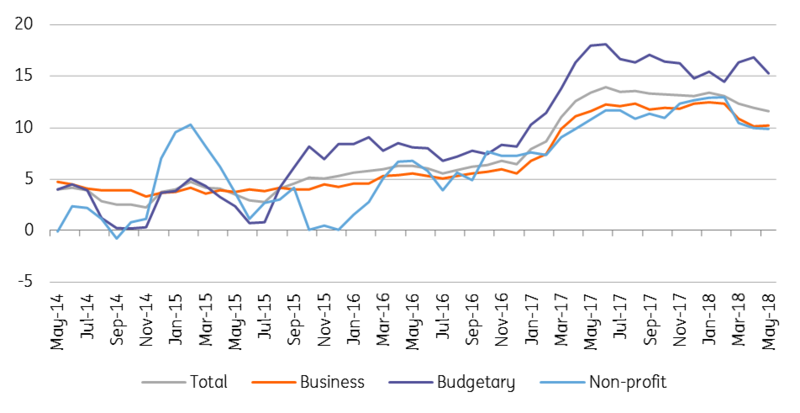 Wages increased more in the business sector than in the public sector (11% vs 9.9% YoY, respectively), a mild surprise. However, if we take a look at premiums and bonuses, we find the reason; in the public sector, they dropped by more than 40% YoY. The public sector is still ahead of businesses, however, when it comes to regular wages. Labour demand is still rising, by 1.4% YoY at the national level, but the industry most in need of workers has remained the construction sector. 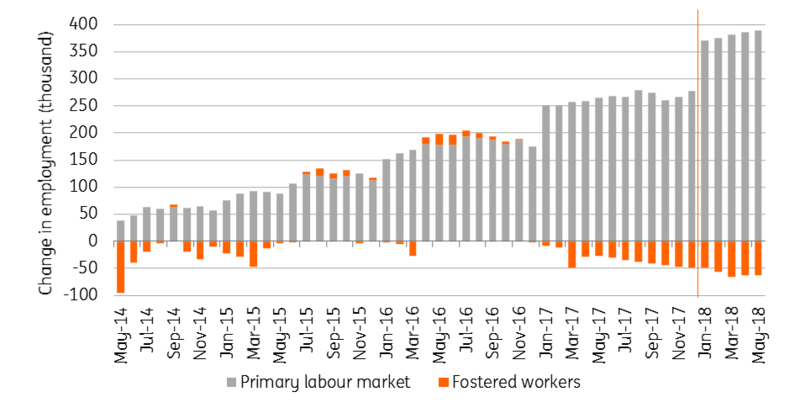 The number of fostered workers decreased by 35.3k YoY, while the number of workers in the primary labour market was up by 124.4k YoY in May. Overall, the labour market still looks good with strong wage growth and gradually increasing employment. In our view, this trend can continue in 2H18. But with the accelerating inflation, we might not see another year of double-digit real wage growth, as this stood at 9.7% YoY in the first five months of 2018.